Newsletter Production. DI Presses Offer High Runs. Direct imaging (DI) presses combine the high quality of offset printing with the ease, automation, and efficiency of digital printing. These devices are ideal for printing environments of any size that want to expand business, produce existing color jobs more profitability, or produce high-quality, high-volume output. Based in TX, newsletter publisher Peel, Inc. and commercial printer Quality Printing share a 7,000 square foot building and the same eight-person staff. Combined, the sister companies produce over two million impressions a month. “We’re an exceptionally high-volume shop considering the small size of our facility,” says Mike Sharpe, production manager, Quality Printing. The companies established themselves as a trusted source for consistently high-quality printed materials, partly due to its investment in Presstek DI technology. 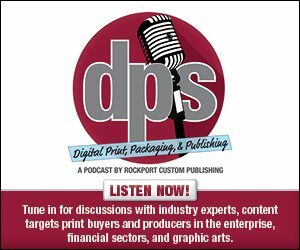 “Over the years, the Presstek DIs have proven to be reliable and affordable four-color presses that have enabled fast turnaround times and high-quality products to our customers,” comments Sharpe. In 1977, Bruce Peel founded Quality Printing to serve small business printing needs in West TX. Today, Peel’s sons—Jonathan and Kelly—run the company as the firm continues to serve multiple markets across many industries. Peel, Inc. was formed in 1991 in Littlefield, TX as a newsletter publisher to local neighborhoods and homeowner associations. The company relied on two-color presses and duplicators for its production until 2010. That year, Peel, Inc. upgraded its equipment by acquiring its first Presstek 34-centimeter four-color 34DI press. With this device, the company began publishing its magazines and newsletters in full color, increasing appeal to advertisers and customers. Today, Peel, Inc. oversees the Peel Newsletters’ production while Quality Printing handles all other commercial work, including short- and long-run printing like banners, color copies, and large format prints. Peel, Inc. currently works with over 100 communities and homeowner associations throughout TX. The businesses operate in the same building where the press room consists of 3,500 square feet. The rest of its facility supports both businesses’ functions, including sales, design and prepress, print production, bindery and finishing, and mailing and shipping. After installing its first 34DI press in 2010, Peel Inc.’s production demands continued to grow. In 2012 the company invested in a second DI press and a third in 2014. “The small footprint of the Presstek DI press makes it ideal for a smaller shop,” shares Sharpe. The three DI presses now stand side-by-side on the first floor within five feet of each other—giving operators enough room to move around the machines. The Presstek 34DI is a two-page format digital offset printing device that allows Quality Printing and Peel Inc. to automate its entire printing process. It’s designed to deliver precise registration with a central impressions cylinder and Presstek’s Zero Transfer Printing process. The 34DI prints up to 7,000 full-size sheets per hour or 233 letter-size pages per minute with a maximum 0.02-inch thickness. DI presses are ideal for printers that need to profitably bridge the gap between digital toner and conventional offset printing solutions. With its Presstek 34DI press, Quality Printing and Peel Inc. produce high-resolution books, publications, and newsletters with fast turnarounds and quality images. Click here to read part pme of this exclusive online series, When Offset Met Digital.